The recent news that two-thirds of United Nations member states negotiated a treaty that bans nuclear weapons was undoubtedly met with enthusiasm in much of New Zealand, which reportedly had a leading role in shepherding the talks to success. Alongside the Kiwis, 121 other non-nuclear UN member states support the Treaty on the Prohibition of Nuclear Weapons, which will be brought for signature to the UN General Assembly this September (where it will enter into legal force 90 days after 50 states ratify the treaty). As an American army officer that attended graduate school in Wellington and recently returned from service in Korea, this diplomatic effort leaves me puzzled and wondering what New Zealand actually stands for. Decades have passed since New Zealand first adopted its own sweeping domestic anti-nuclear legislation in 1987. So powerful and broad that it sparked the undoing of the NZ-US leg of the ANZUS alliance, at the time the foundation of Kiwi security (since replaced by a big bet on geographic remoteness). This independent stance against nuclear weapons has become a potent part of New Zealand’s strategic culture, so much so that it’s an accepted plank for both major political party platforms. That's why the nuclear ban treaty was so welcomed in NZ. Even at a high cost, Kiwis are against nuclear weapons. Period. But those of us within maximum effective range of the nuclear weapons problem aren’t so sure this is a good thing. First, there’s the reality gap. This treaty wasn’t adopted by a single nuclear weapons state, will not 'result in the elimination of a single nuclear weapon,' and, most importantly, Kim Jong Un hasn’t registered an opinion. Presumably, he doesn’t have his pen (or uranium) at the ready. Let’s imagine tomorrow came and America acted on this treaty’s logic and immediately made moves to disband, dismantle, and destroy its entire nuclear weapons enterprise. The last day of the American nuclear umbrella in Asia would be the first of the Japanese and South Korean nuclear weapons programs. One step back, two steps forward; proliferation by subtraction. If failed treaties could speak, the Kellogg-Briand Pact would dismiss this anti-nuclear weapons treaty as 'too idealistic': nuclear disarmament will not be achieved by legalism, even if it is supported by uber-well-meaning bands of states. Second, if nuclear disarmament will be effected at all, it will not be by insufficiently committed actors like New Zealand. Let’s not confuse rhetoric with resources. If New Zealand’s policy to end nuclear weapons is to be taken as more serious than a bumper sticker wishing for a 'Free Tibet', it should match this aim with commensurate means. Surely the sharpest case for disarmament today is the danger posed by North Korea’s nuclear and intercontinental ballistic missile, which is approaching range that would threaten New Zealand. So why is the Kiwi commitment to the United Nations cause on the Korean peninsula so paltry; a handful of soldiers, at best? 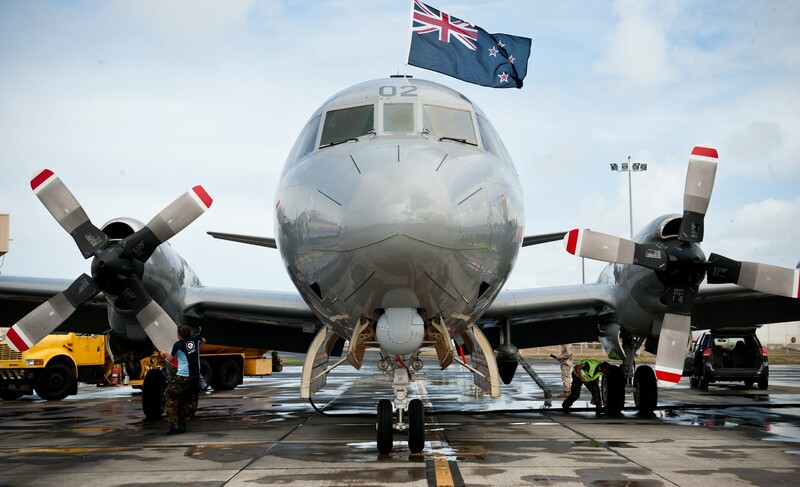 One would think that with decades of tradition backing such a policy, and with domestic political support to spare, New Zealanders would bring relatively large and significant military resources to bear in the effort to contain the North Korean nuclear weapons program. Most critics would point to crude measures, like defense spending as a percentage of GDP, and use these as a cudgel to heap scorn on nations that don’t do 'enough'. This critic won’t go take that route. Sure, New Zealand’s defense dollars are relatively low, but there’s certainly enough to put some real skin in this game and match the country’s rhetoric and policy with actual pointy-end-of-the-spear resources. Because it’d be nice, for those of us on the line, if we had more help in holding back the world’s worst nuclear problem; not just empty words and slogans.